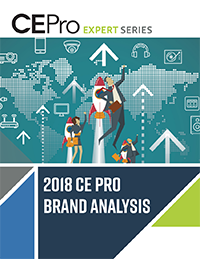 Sony keeps its first-place spot, and Barco breaks into the Top 5 most popular video projector brands for the first time, according to the 2018 CE Pro 100 Brand Analysis. 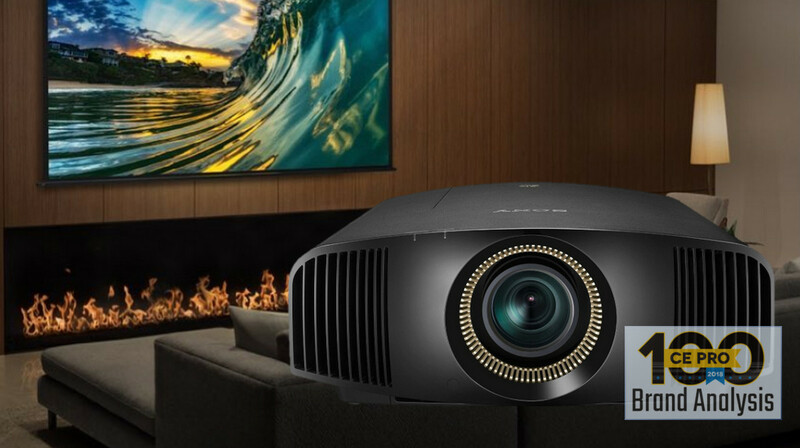 Home-theater projectors seem to be enjoying a surge in popularity, and Sony continues to ride the wave in the smart-home channel. This year CE Pro named the video-projection category one of the Top 5 Home Technology Trends for 2018. Sony, Epson, Digital Projection (DPI) and JVC maintain their top five positions among CE Pro 100 dealers. 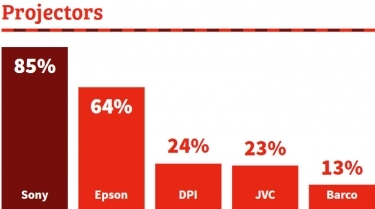 Sony continues to lead the field with native 4K video projectors at both premium and "affordable" price points. New form factors such as short-throw projectors further cement Sony's popularity among the largest residential integrators. What's new in the 2018 Brand Analysis is that Barco breaks into the Top 5 for the first time. The popular commercial brand has made in-roads in the residential market through a growing selection of high-performance solutions and applications. Notably, Barco Residential managing director Tim Sinnaeve has led a charge to promote high-performance video projection in the emerging field of digital "new media" art. 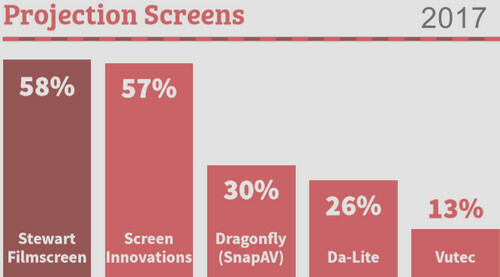 A few years ago, Screen Innovations nabbed the top spot from perennial leader Stewart Filmscreen, but since then the two brands have traded off the lead spot for video projection screens. Stewart prevailed last year among CE Pro 100 dealers, but this year SI again pulled ahead with a fairly substantial gain. 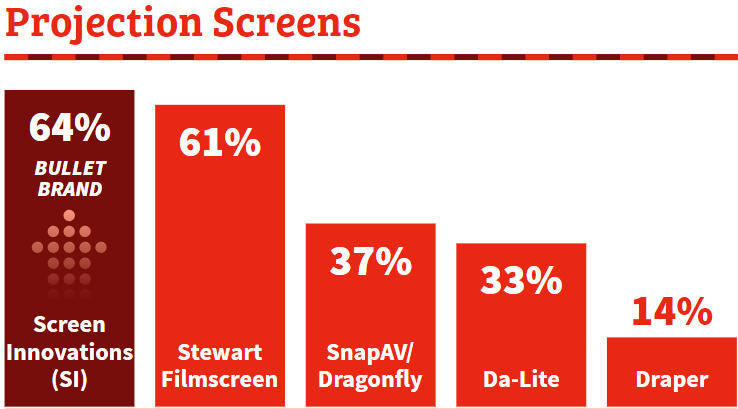 Last year (the "2018" figures) was a good year for screens in general with a return in popularity of home-theater projectors. 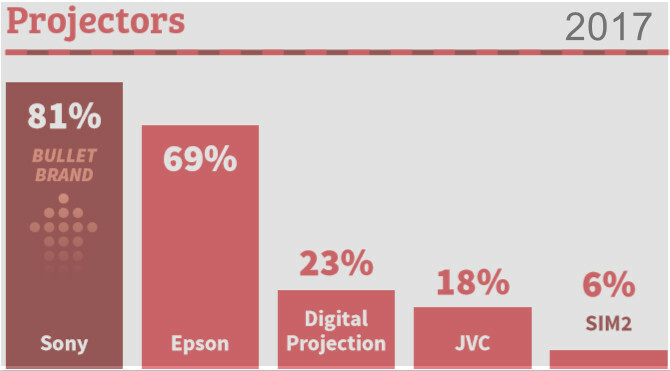 Better, cheaper and smaller projectors, coupled with ambient light-rejecting screens (ALR) that help projectors shine in brighter rooms, were boons for the category.